With the introduction of the Halo cockpit protection concept for 2018, Formula 1’s leading engineers have had a brand new design problem to solve, seeking to integrate the Halo into the car’s monocoque with the minimum of compromise. 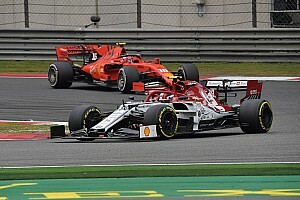 Formally introduced in July, the Halo was approved by the FIA for mandatory use next season, despite opposition from nine of the ten teams on the current F1 grid. This has resulted in a number of teams having to make wholesale changes to their monocoque designs, just as many were reaching completion. 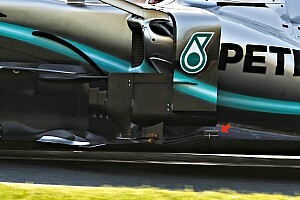 The reason for this is thanks to the different loading patterns on the chassis that the Halo will bring. After being tested by the FIA, teams were belatedly provided with expected figures and targets which the Halo design is expected to meet. Although the Halo itself is provided by an external supplier to all teams, the monocoque and roll structure must sustain peak loads of up to 88kN during crash testing. This means that teams will have to replicate the tests in their simulations before attempting the real thing. To understand the loading and stress distributions in their chassis designs, engineers use “finite element analysis” tools to assess and develop the ideal loading patterns on the car, without compromising on performance. As the real Halo will be built into the structure of the car, rather than simply attached to the car as has been seen in test runs, it meant that some teams had to backtrack on their design programs to accommodate the variation in point loads. The 15kg added by the Halo's inclusion will also produce an effect on balance, magnified by the FIA's decision to raise the minimum weight limit by just 6kg - providing a disadvantage to the heavier drivers on the grid. Furthermore, the Halo itself must be able to keep its structural integrity should any of the rest of the survival cell become damaged. It’s all a very fine balancing act. 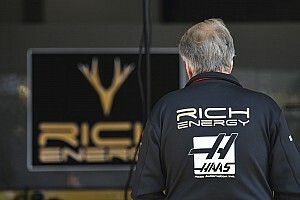 “[The Halo] knocks on big time to the chassis definition,” Nick Chester told Autosport in July. “It’s a little bit painful, as we’re right into that process of trying to finalise our chassis schemes and the loadings from it are quite big, so it affects all the structure in the chassis. Force India’s chief operating officer Otmar Szafnauer even speculated that the late introduction of the Halo may even delay some teams’ appearance in next year’s winter testing, owing to a delay in construction. 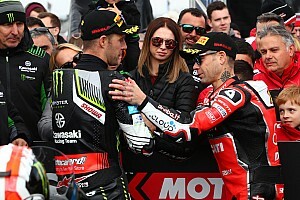 “It may delay next year’s car,” said Szafnauer to Motorsport.com in August. “There’s a finite amount of time to design and build a monocoque, and there is a finite amount of time that it takes to design and make a monocoque. If we don’t get definition in that timeframe, all it does is it delays when it’s produced. In addition to the structural considerations, F1’s aerodynamicists have also been hard at work trying to mitigate the effect of the halo’s inclusion. Situated just in front of the cockpit, the halo creates wake which interferes with the flow into the air intake downstream. The FIA has granted teams the opportunity to append non-structural fairings to the halo, as long as it complies with the defining regulations and does not impede driver egress, of which the minimum mandated time is expected to rise from five seconds. Performing an extraction test with Valtteri Bottas in Abu Dhabi, the FIA found he had taken twice as long to get out of the car. These fairings will help teams to minimise the wake produced by the Halo, removing any hindrance on cooling. As seen from the image above, McLaren ran in the post-Abu Dhabi Grand Prix test with its own interpretation of an aerodynamic fairing on the Halo, doused in flow-viz paint to allow the trackside engineers to assess the resultant flow structures. The shape of the fairing helps to pick up laminar flow passing over the top of the Halo and directs it downwards, helping to feed the intake and manage the wake created by the structure. Toro Rosso also trialled an aerodynamic fairing, electing to run a single element to produce the same effect. The top-down view displays the intricacies in the fairing design. The outboard structure of the fairing are shaped to manage the resultant vortices emanating from the tips, and McLaren has monitored this with an array of Pitot tubes to assess the changes in pressure produced by the changes in flow. McLaren and Toro Rosso became the first of the teams to assess the aerodynamic changes created by the Halo, and it’ll be interesting to see what other teams come up with over the winter as they seek to extract the tiniest of advantages.